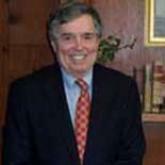 Attorney Arthur B. Crooks, Jr. has over 20 years experience providing legal solutions for seniors and their families. Attorney Crooks has spoken before senior and professional groups as well as lectured at Cape Cod Community College on Estate Planning, Elder Law and Special Needs issues and has been selected as a faculty member by Massachusetts Continuing Legal Education, Inc. for presentations on Guardianship and Elder Law. My office is devoted to providing estate and family-planning services with the highest level of expertise, compassion and sensitivity to all of our clients. We can assist in the preparation of an asset protection plan including wills, general durable powers of attorney, trusts and other documentation, as required... employing state-of-the-art technology to provide prompt and economical services. We are dedicated to maintaining the highest level of excellence both in solving our clients' problems and in providing legal planning services that meet their needs. Durable Powers of Attorney, Health-Care Proxies, "Living Wills"
CONTACT ARTHUR B. CROOKS JR.
Tell us about your special needs issue and we will put you in touch with Arthur B. Crooks Jr.